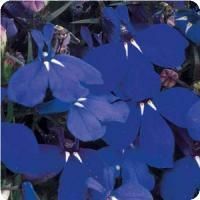 Crown Azure features a light blue pansy that will blend and brighten containers and landscape. 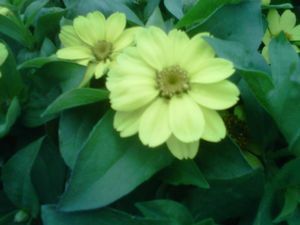 The Crown series features beautiful clear faced flowers that hold their color well in the garden. They have large blooms measuring about 3.5" in diameter. 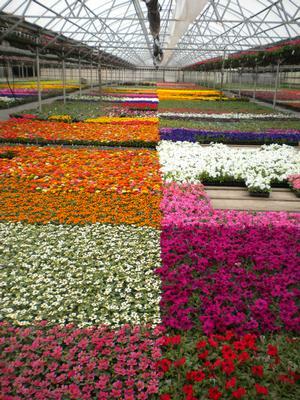 Quite possibly the most popular and recognizable fall annual, pansies come in a wide variety of shapes and sizes. 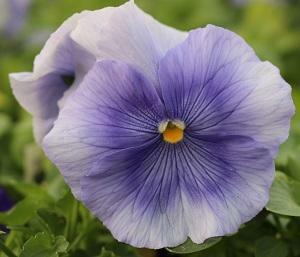 The flower size of pansies ranges from 2½” to 4” depending on the type. 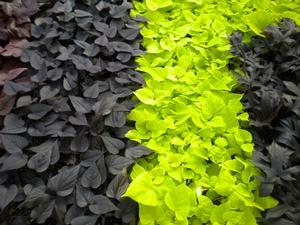 They are compact low-growers, making them ideal for edging, rock walls and paths. Pansies planted in the fall generally have more uniform bloom, and grow slightly larger flowers than their spring companion pansies. The Crown series has been a retail favorite for years.